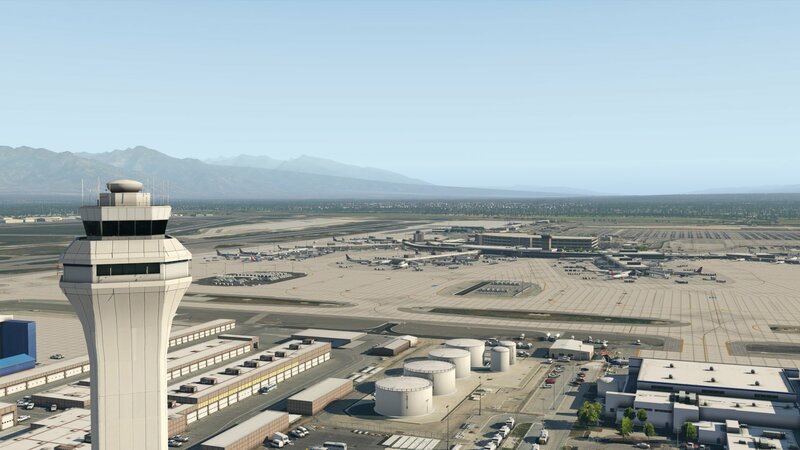 Salt Lake City International Airport (KSLC) is located about 4 miles west of Downtown Salt Lake City, Utah. 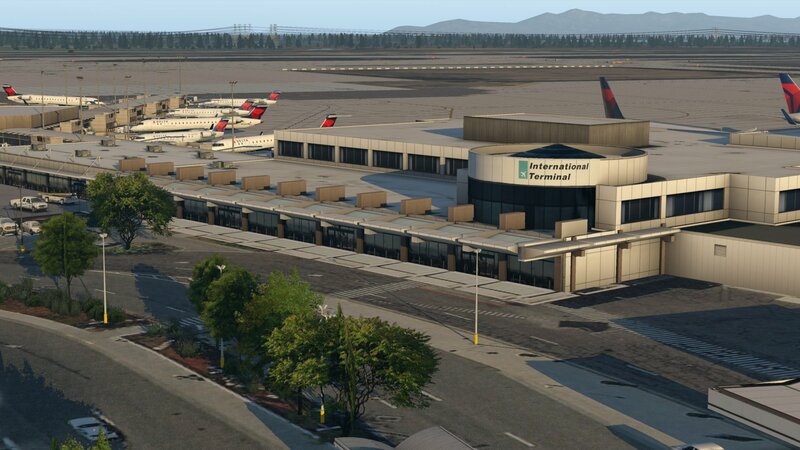 It is the fourth-largest hub for Delta Airlines, as well as a hub for Delta Connection carrier SkyWest Airlines. 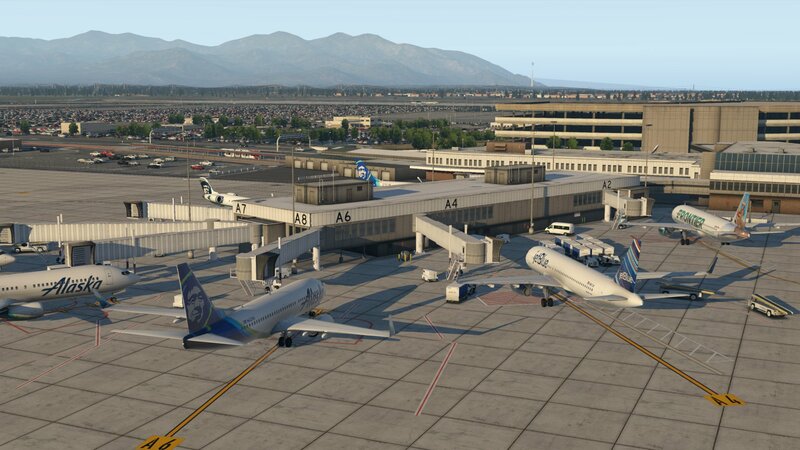 Salt Lake City International Airport offers scheduled flights to the United States, Canada, Mexico, and Europe. 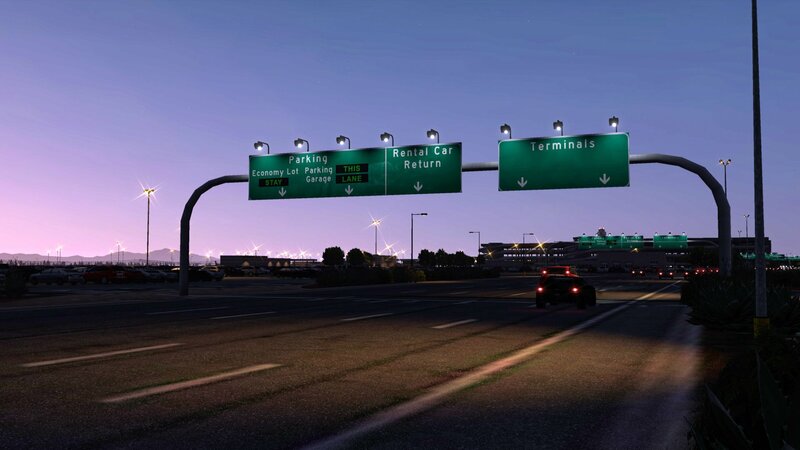 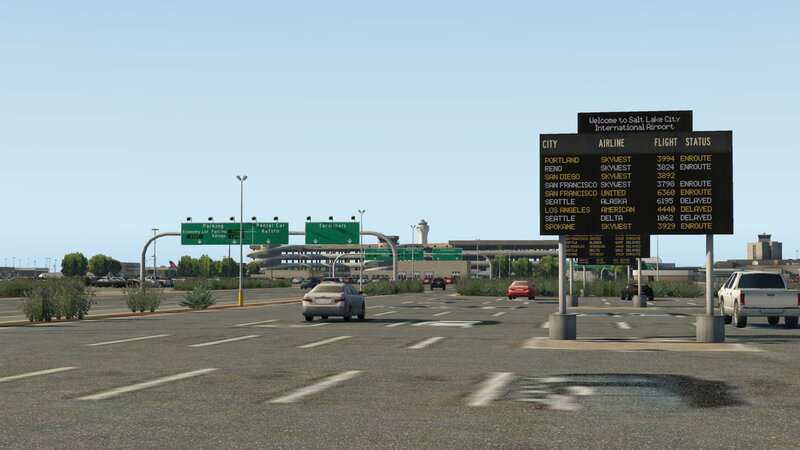 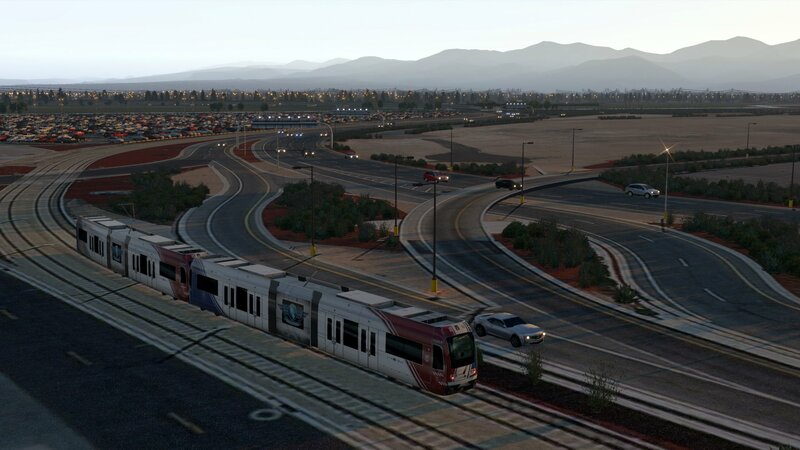 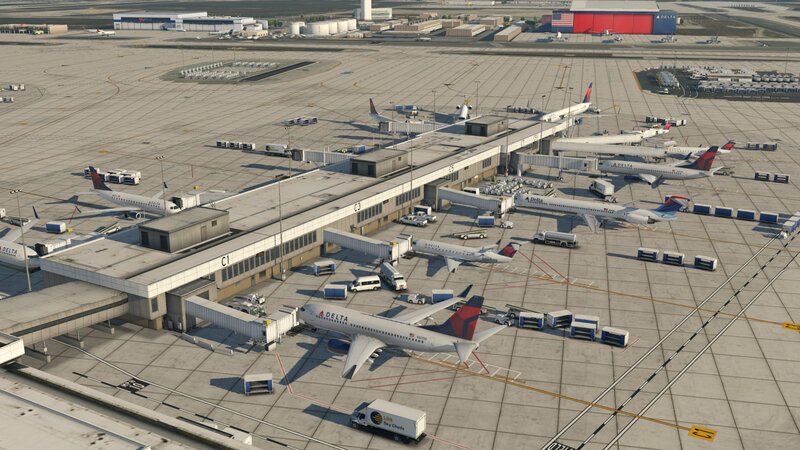 KSLC is a detailed creation from ShortFlight Design, aka MisterX on the forum where his freeware scenery are appreciated with thousands of users. 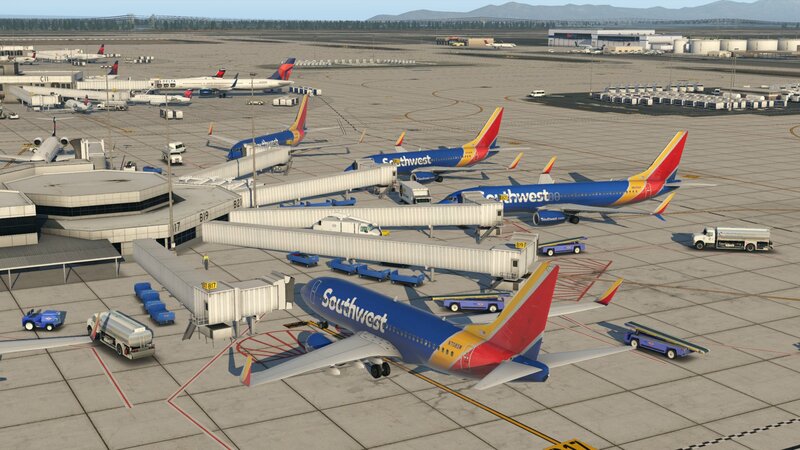 MisterX Library can be installed to get a larger selection of static aircraft. 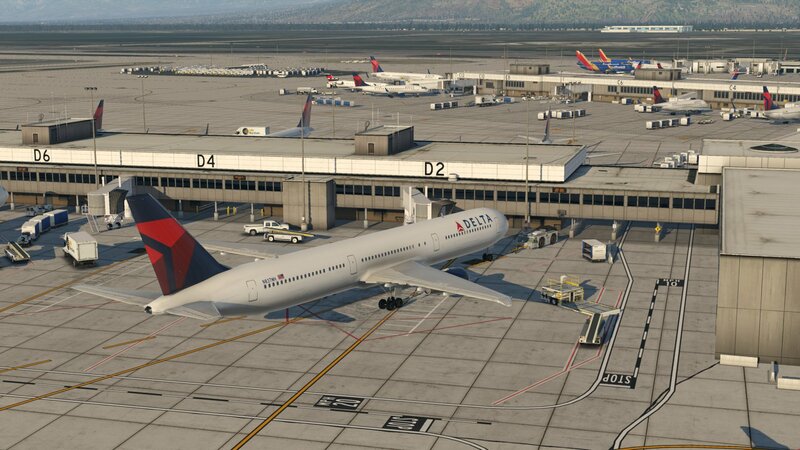 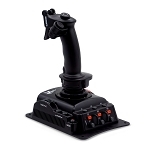 AutoGate can be installed to use the included docking guidance system and moving jetways.